While the Punjab Chief Minister Amarinder Singh on Sunday announced a rally in former CM Parkash Singh Badal’s constituency in Lambi on 7 October, the SAD announced to hold a rally in the CM’s home city of Patiala the same date. The ruling Congress and Opposition party Shiromani Akali Dal (SAD) are set to hold rallies in each other’s strongholds. While the Punjab Chief Minister (CM) Amarinder Singh on Sunday announced a rally in former CM Parkash Singh Badal’s constituency in Lambi (Muktsar Sahib) on 7 October, the SAD announced to hold a rally in the CM’s home city of Patiala the same date. The CM said he will hold a rally at Killianwali in Lambi, to take on Badal over the sacrilege issue on the latter’s home turf. Amarinder said Badal is making continued and wilful attempts to create communal unrest in the state through his deceitful statements on the report of Justice (Retd) Ranjit Singh on the widespread incidents of sacrilege that had taken place during the SAD-BJP rule. The Chief Minister said that Badal had a habit of raising communal passions by spreading a web of lies and misusing religion every time around the elections, and vowed to expose the Akali leader’s real face to the people of Punjab. 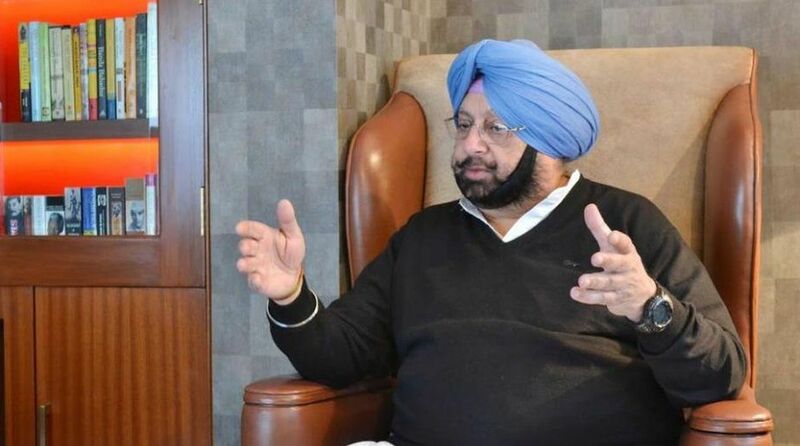 The former Chief Minister had been trying to spread a disinformation campaign on the issue of Bargarhi and other sacrilege cases, as well as the incidents of police firing on innocent and peaceful protestors in Behbal Kalan and Kotkapura, since the Commission had come out with its report, said Amarinder. The SAD, however, said its Jabar Virodhi Rally (anti repression rally) at Patiala will highlight and protest against the brutal murder of democracy by “the unholy coalition between the Congress party and the state machinery who functioned like a clan of gangsters during the just concluded Zila Paishad and Samiti elections in the state. Giving details of the decisions taken at the SAD’s Core Committee meeting on Sunday, spokesperson of the party, Harcharan Bains said that apart from highlighting the repression in the poll, the rally would also focus on putting pressure on the government to solve the problems being faced by the people. In another resolution, the core committee condemned the Congress led state government for committing ‘a brazen murder of democracy’ during the Zila Prishad and Panchayat Samiti polls. It said that the poll process was completely vitiated by the Congress goons under the leadership of CM Amrinder. A controversy was erupted, even at the announcement of the elections as the Congress in league with the state election commission, had hatched a conspiracy to keep off the rival candidates from the poll contest, it said.